Top selling brand of chili seasoning mix! 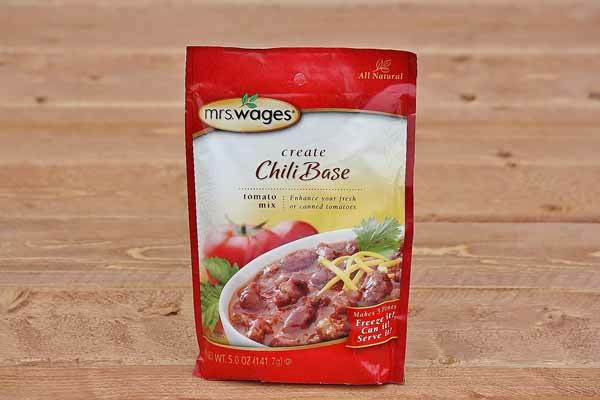 Add this chili seasoning mix to homemade chili recipes and more. Serve it hot, freeze it cold, or can it for room temperature! Chili seasoning includes ingredients like chili pepper, onion, paprika, and garlic. Your chili will win the hearts and minds of family and friends with this tasty mix! Makes 5 pints. Made in the USA. Ingredients: Spice, Salt, Food Starch, Onion, Maltodextrin, Paprika, Garlic, Beet Powder, Citric Acid.